Plymouth Brethren preacher W. E. Vine's Expository Dictionary of New Testament Words also states that the primary meaning of stauros was an upright pale or stake on which malefactors were nailed for execution. Vine said the shape of the ecclesiastical form of two-beamed cross had its origin in ancient Chaldea, and was used as the symbol of the god Tammuz (taking on the shape of the mystic Tau, the initial of his name) in Chaldea and nearby lands, including Egypt. He said third century churches, which by then had departed from certain doctrines of the Christian faith, accepted pagans into the faith in order to increase their prestige and allowed them to retain their pagan signs and symbols. "Hence the Tau or T, in its most frequent form, with the cross-piece lowered, was adopted to stand for the 'cross' of Christ." Incidentally, Christmas - December 25 - is associated to the birth of Tammuz as well. 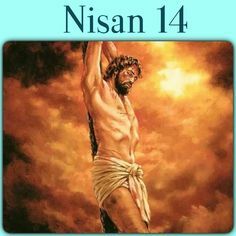 THE image of Christ on the cross, arms stretched out to the sides, is seared onto many Christians’ minds. But this isn’t necessarily how people have imagined it throughout history. A new analysis of the Shroud of Turin, which appears to depict a man that has been crucified, suggests that whoever created it thought crucifixion involved the hands being nailed above the head. 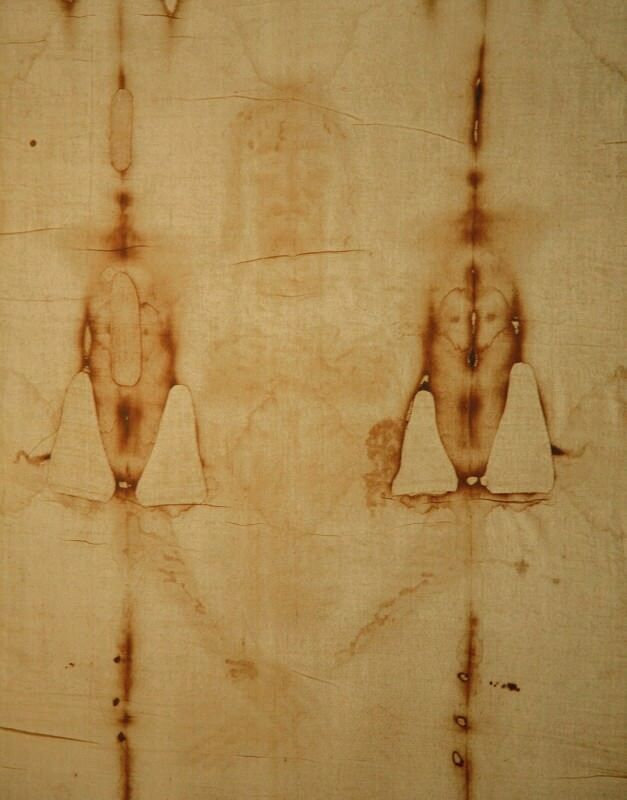 The Shroud of Turin is a piece of linen cloth imprinted with the faint image of a naked man with what appear to be streams of blood running down his arms (seen in the bottom centre of the photo), and other wounds. Some believe it is the cloth in which Jesus’s body was wrapped after crucifixion. But reliable records of it only begin in the 14th century, and carbon dating suggests the Shroud is a medieval forgery. Either way, the Shroud is worth studying, says Matteo Borrini at Liverpool John Moores University in the UK. “If it’s a fake, then it’s a very interesting piece of art and human ingenuity,” he says. Borrini wanted to know if the “bloodstains” on the left arm, the clearest ones, were consistent with the flow of blood from the wrist of a crucified person. 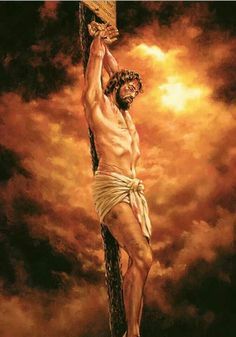 So he asked Luigi Garlaschelli of the University of Pavia, Italy, to assume different crucifixion postures, while a cannula attached to his wrist dribbled donated blood down his arm. 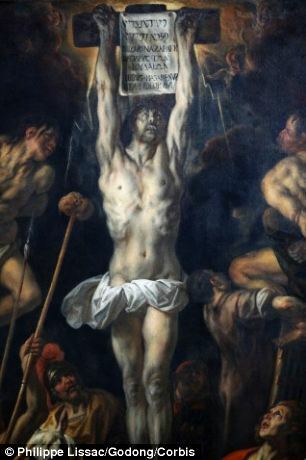 They found that the marks on the shroud did correspond to a crucifixion, but only if the arms were placed above the head in a “Y” position, rather than in the classic “T” depiction. “This would have been a very painful position and one which would have created difficulty breathing,” says Borrini. Someone crucified in this way may have died from asphyxiation. Borrini presented his results at a meeting of the American Academy of Forensic Sciences in Seattle in February. Borrini says similar positions were used during medieval torture, but in those cases the victims were suspended from a beam by binding their wrists with rope, rather than using nails. 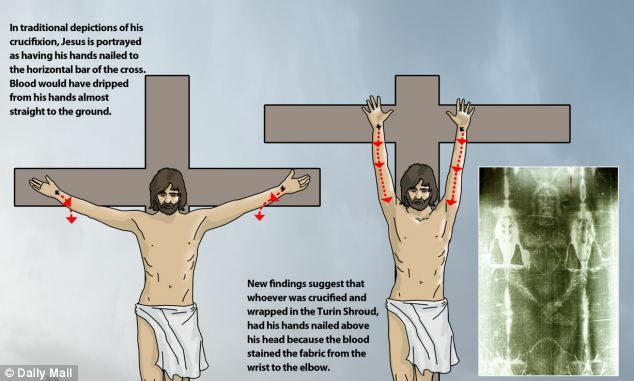 The results confirm earlier experiments by Gilbert Lavoie, a Massachusetts-based doctor, that suggested a Y-shaped crucifixion. “The blood-flow is absolutely consistent with what you see on the Shroud,” Lavoie says. He described his studies in Unlocking the Secrets of the Shroud. “The imprint on the Shroud does not correspond with many traditional artistic images of crucifixion,” says Niels Svensson, a doctor in Maribo, Denmark, who has also studied the Shroud. But not all artists show Jesus in a T-shaped posture. For instance, the Flemish painter Peter Paul Rubens repeatedly painted Jesus with his arms above his head on the cross, as did many others. Whoever made the Shroud must have been a skilled forger to create the correct blood spatter for a crucifixion. The alternative is that they made the right pattern by chance. “It could be that the artist just decided to draw the rivulets of blood parallel to the arms for artistic reasons,” says Borrini.